KANNAPOLIS, NC - On a beautiful Saturday night at Intimidators Stadium supported by Atrium Health, the Kannapolis Intimidators found their stride at the plate against the Rome Braves, taking game three of the four-game series, 6-4, on 14 hits. 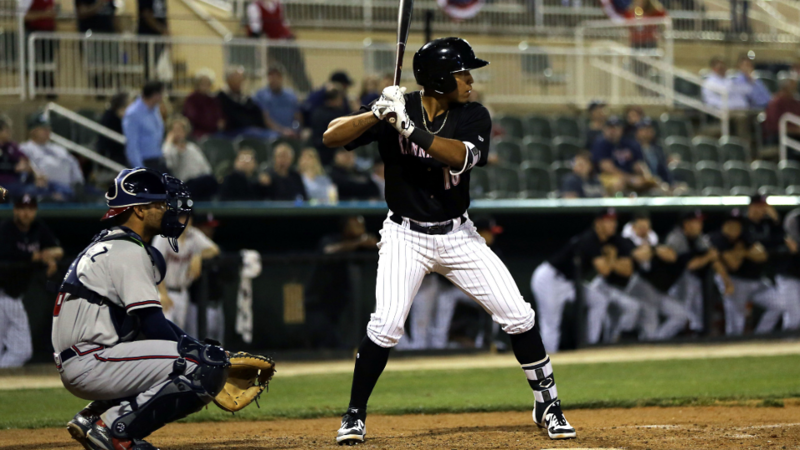 Middle infielder Lenyn Sosa led the way for the Intimidators with a double, to go along with three singles with five plate appearances on the night. With his four-hit night, Sosa has now recorded two straight multi-hit games to start the season. Kannapolis had several clutch hits from other key contributors, including White Sox 11th overall prospect Steele Walker, who got the scoring started in the bottom of the first frame with an RBI double to right-center, scoring Sosa. In the bottom of the third, Lenyn Sosa lead off with a double into left field, scoring one batter later after a Luis Curbelo double into left. Catcher Gunnar Troutwine also found success at the plate, hitting a clutch single in the bottom of the eighth inning, scoring Alex Destino from second base. The Wichita State backstop added in a walk and a double, as well as throwing out Braulio Vasquez on a stolen base attempt in the top of the seventh. The Kannapolis pitching staff held Rome to four runs on seven hits. Starter Davis Martin struck out eight over 6.0 innings, walking one and scattering six Braves hits. Out of the bullpen, three Intimidators arms combined to give up only one hit over three innings of play, striking out six. RHP Johan Dominguez and LHP Sam Long each collected a hold, with RHP Wilber Perez closing out the ninth with a save. Rome's Griffin Benson and Logan Brown provided the lumber for the Braves, as each smacked their first home-runs of the 2019 season. Kannapolis will look to take the series in the final tilt of the four-game set with the Rome Braves, sending out LHP Konnor Pilikington against Rome's RHP Trey Riley. First pitch is slated for 3:00 p.m. with the first Bark in The Park of the young baseball year. Fans can purchase tickets for this potential series clincher by visiting intimidatorsbaseball.com or stopping by the F&M Bank Box Office, located at Intimidators Stadium supported by Atrium Health.